To see more of Rossitza’s work click here! 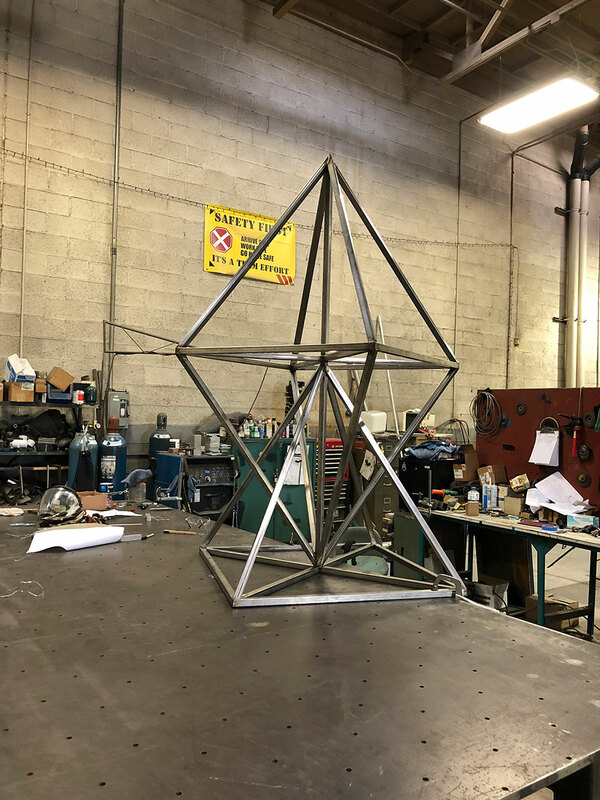 Pyramid III is a stainless steel sculpture, featuring simple linear geometry in the shape of stacked pyramids. Based on the ancient symbol of a pyramid, rising from the desert to the heavens, artist Rossitza Todorova has created a new symbol that, through repetition and reflection, points up, down and internally. These three pyramids also reference an hourglass, capturing the movement of time, as well as the cut lines of a gemstone, symbolizing wealth and power. 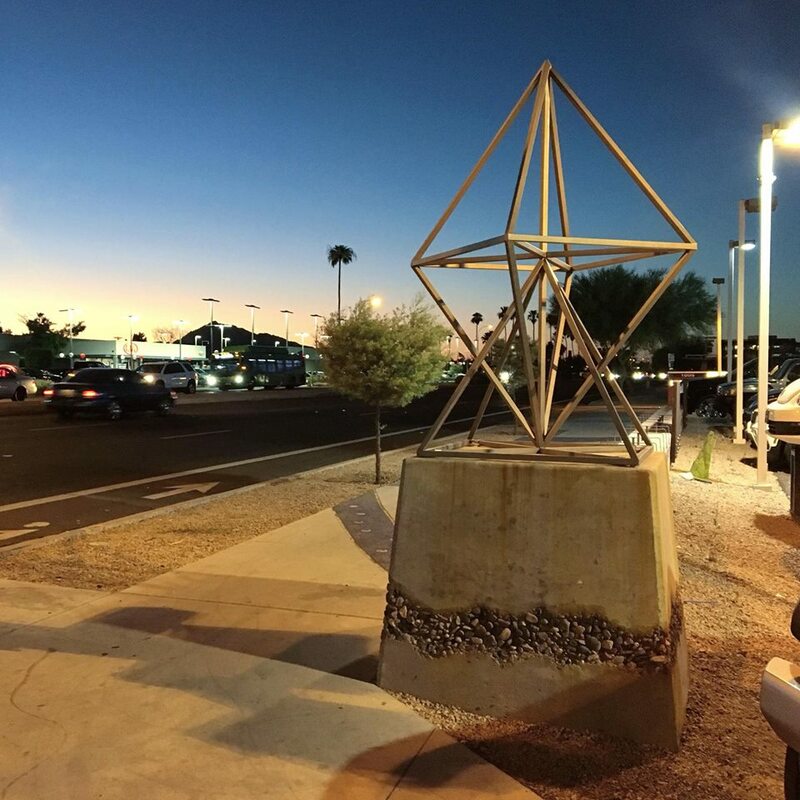 When light falls upon the sculpture it creates interlacing shadows.